The opening of Ann James' exhibition Mud & Magic was on Friday 1 August, 1.30pm at Central Goldfields Old Fire Station Art Gallery in Maryborough central Victoria. The exhibition will run from 2 August - 7 September celebrating Ann James' 32 year career illustrating picture books for Australian children. Featuring 'I'm A Dirty Dinosaur' written by Janeen Brian and published by Penguin Books. Beginning with A Pet for Mrs Arbuckle, Ann's first book in 1981, the exhibition presents Illustrations and background process from many books including the Penny Pollard series, Lucy Goosey, Sadie and Ratz, The Butterfly, Shutting the Chooks In, The Way I Love You, It’s a Miroocool! 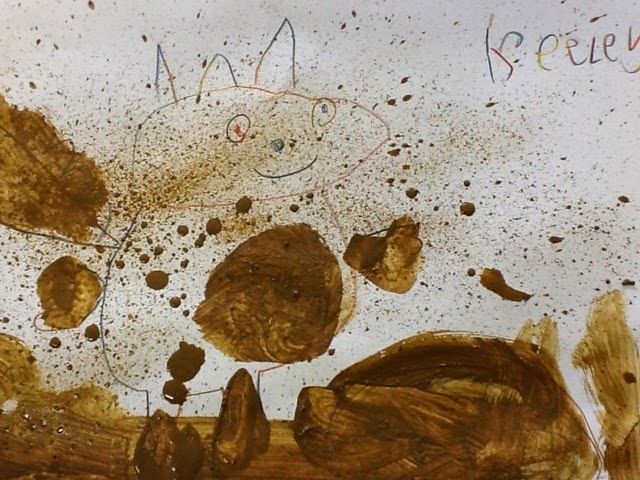 and Bird & Bear, which demonstrates Ann's playful approach to making pictures with a variety of mediums and techniques. 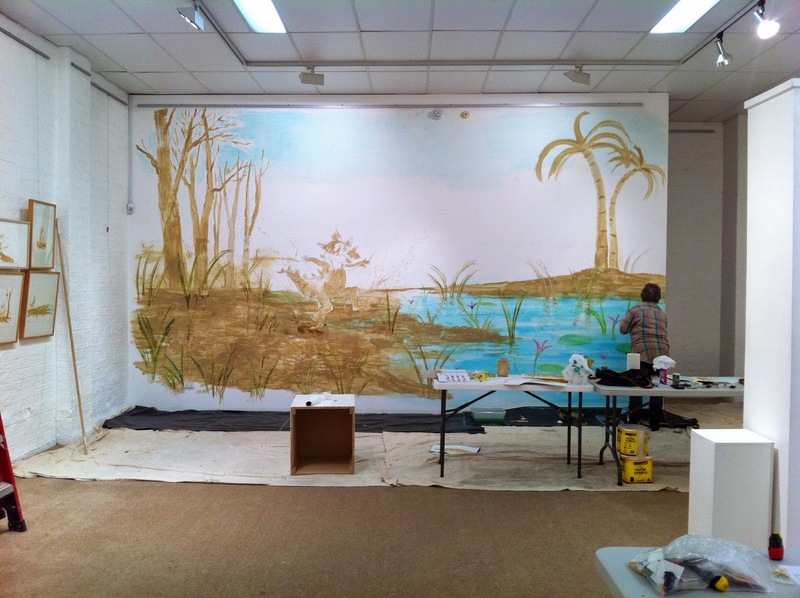 Ann has painted a giant Dirty Dinosaur mural on the back wall of the gallery painted with mud from her dam in Central Victoria!. Over 700 school children will visit the exhibition through August adding their own magic to the swamp mural with creatures they have created. Ann will run a workshop at the gallery on Saturday August 30 for 8 to 12 year olds. 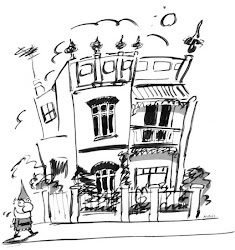 Visit Ann's page on Books Illustrated.